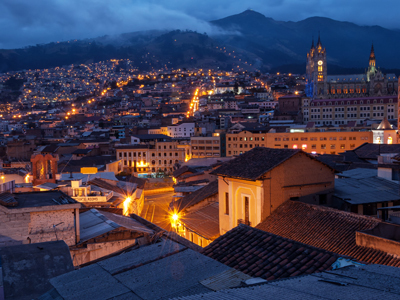 Ecuador's mainland is a playground of different landscapes and cultures. While the Galapagos Islands are definitely a must see, too many travelers ignore the natural treasures. Add the fact that Ecuador's mainland is compact and easy to travel around, and you have yourself the perfect adventure destination. This itinerary begins with a multi-day program living and interacting with the Sani Tribe of Ecuador's Amazon rain forest, learning the indigenous lifestyle of these fascinating people while staying in their locally managed ecolodge. Next, launch up into the Andes mountains, to explore the peaks and villages that make up the Avenue of Volcanoes. 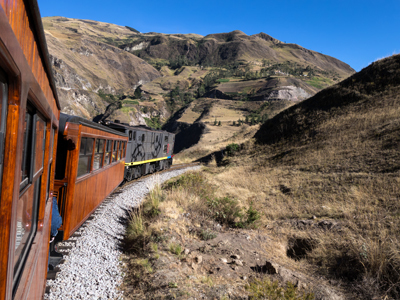 On this trip, you'll explore on foot, train, plane, canoe, and car through the most beautiful parts of South America. · Sani Lodge operate every day except for Sunday. Welcome to Ecuador! On arrival at the Quito airport you will be met by your Spanish speaking private driver and transferred to your hotel. Check in and enjoy the rest of the day free. On arrival, you will be picked up at the airport and transferred to your hotel. This morning you will embark on the start of your Avenue of Volcanoes excursion. Just one hour south of the historic colonial city of Quito, in the region of Mt. 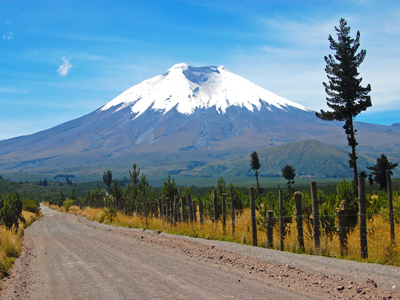 Cotopaxi, the world’s highest active volcano, we offer the traditional mountain hospitality with a dose of adventure. We drive south from Quito Monday to Wednesday, and from Thursday to Sunday we ride by train! We will visit Cotopaxi National Park. From here, weather permitting, you will be able to see the snow capped summits of both the Cotopaxi and the Antisana volcanoes. You will also enjoy horseback riding if you choose. Visit Cotopaxi Interpretation center to learn about the history of its major eruptions as well as the local flora and fauna. Later, you will go to Limpiopungo Lake and discover the area by walking around it. Enjoy lunch at Tambopaxi, a mountain refugee based in the northern side of the National Park. Optionally, if you feel like walking, you can take a 2 hour hike where you will arrive at Cotopaxi’s J. Ribas refuge (4,800 m) and you will have a nice view of the volcano and the Andes. The Highlands of Cotopaxi National Park are located in the Southern mount region of Ecuador that continues to fascinate hikers from around the world. Here you will discover a region of the Andes full of high mystical peaks, spectacular scenery, plants and animals, waterfalls, forests and great walking trails. If you are interested in outdoor challenges, this is not to be missed. Today you will visit a Rose Plantation as well as an Indian market in the village of Saquisili, Pujili or Latacunga. 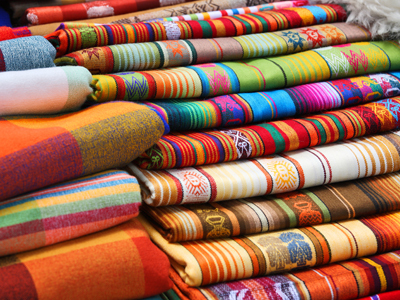 These markets are as authentic and non-tourist as you can find in Ecuador today. They are important for the local indigenous people because the markets are the center of their social and economic worlds. Afterwards, you will head to Riobamba where you will spend the night. *Markets take place in the following days: Pujili: Sunday and Wednesday Saquisili: Thursday Latacunga: Saturday and any day. At 8:00am in the morning we will transfer to Alausi and catch the Train to the Devil’s Nose. Available daily except Mondays. Arrival in Alausi, with box lunch on route, and then the drive south to Ingapirca, where we visit the impressive Inca Ruins. In the afternoon we move south to Cuenca a beautiful colonial town recently declared a UNESCO World Cultural Heritage site. Today you will transfer to Guayaquil visiting Cajas National Park en route. 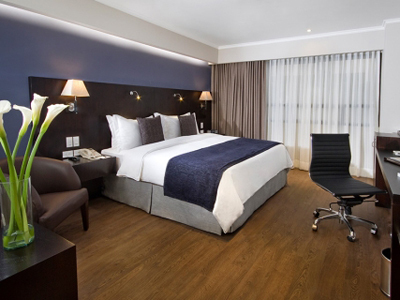 On arrival in Guayaquil, check in to your hotel and enjoy your last night in Ecuador at your leisure. Cajas National Park is located 30 km west of the city of Cuenca, capital of the province of Azuay. Has an area of 28.544 hectares and has over 250 small lakes and ponds. It was declared a National Park on 5 November 1996 on the archaeological value of the area and rich in flora and fauna. 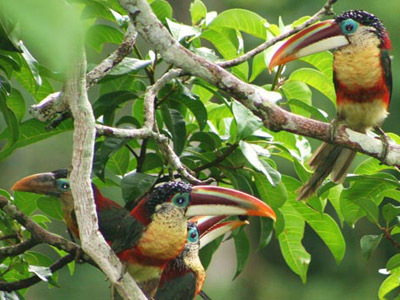 The Banks is home to many endemic and endangered animals from extinction. Today, at the appropriate time, you will be met by your Spanish speaking driver and transferred to the airport for your departing flight. We hope you enjoyed your experience in Ecuador and we wish you a pleasant flight home. Situated in the heart of Quito's historic center, you will find the Hotel Patio Andaluz Quito, surrounded by churches, museums and national monuments. The property is a marvelous old building full of colonial history and charming ambiance. It lies within easy walking distance from the city's main square, known as the Independence Plaza, as well as several of Quito's famous highlights and attractions. With only 11 suites and 21 standard rooms at the hotel, it is an intimate and elegant property with a capacity for just 63 guests. There is also a delicious restaurant, cava bar, library, internet access, and plenty of nooks in which to relax and take a siesta on site as well. On the slopes of Rumiñahui Volcano in a truly remote and stunning location, you will find the rustic Hacienda El Porvenir. 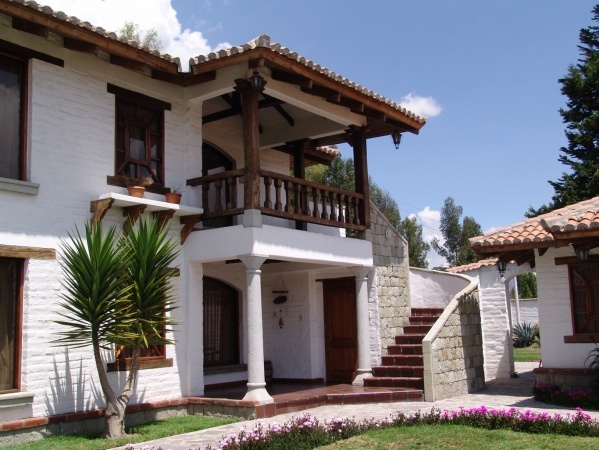 El Porvenir is surrounded by 4 volcanoes (including Cotopaxi) and is at an altitude of 3600 m. The farmhouse is made from local materials, with the colors and style typical of this part of the country. It remains a working farm owned and operated by local people. Hacienda El Porvenir is the ideal base from which to explore Cotopaxi, get to know the Andean way of life first hand. And enjoy thrilling adventures. It is located just 90 minutes from Quito, in the foothills of Rumiñahui Volcano, and 4 km from the northern entrance to Cotopaxi National Park. The wonderful Hacienda Abraspungo is located at 2,754 metres above sea level and is surrounded by the magnificence of the Ecuadorian Andes. It is named after a glacial valley which is situated between the Chimborazo Volcano and Carihuairazo, in the exact center of Ecuador. Hacienda Abraspungo, with its comfortable, charming and high level accommodation offers a personalized service in the ideal spot to enjoy the peace and beauty of the Andes. Abraspungo offers 42 comfortable rooms which incorporate modern interior design elements within the framework of traditional, colonial architecture. Distributed in distinct wings of the hacienda you can find beautiful singles, doubles, triples and suites, each furnished and equipped to satisfy our client’s needs. 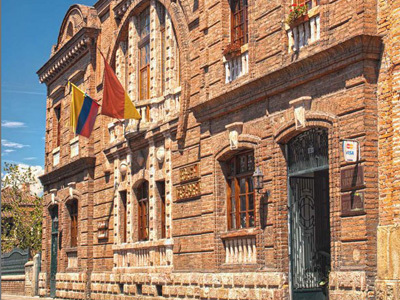 Victoria Hotel offers quality accommodation in Cuenca's Barranco area, on the banks of the lovely Tomebamba River. Its facade features a beautiful blend of bourgeois aristocrat brick and marble, while its interior is decorated with elements typical of the local culture. The spacious rooms and corridors allow you to enjoy of a peaceful and pleasant stay. The hotel has two entrances, one from the historical side of Larga Street and the other by the banks of Tomebamba River, as well as a picturesque garden facing the river. A stay at the beautiful and stylish Hotel Oro Verde in Guayaquil offers the ideal home away from home. Return from days of exploration and excitement, to an accommodating staff and comfortable space. The 236 rooms and suites on property are recently refurbished and boast all of the services you would expect from a world class hotel. High speed WIFI Internet, 300 thread count sheets, mini bar access with complimentary soft drinks, coffee maker and electric kettle in your room are only some of the amenities that await.